Expedia Attends Caribbean Travel Marketplace and Hosts the First E-Commerce Seminar. NASSAU - The Expedia group, one of the world's leading travel companies, is pleased to announce their attendance at Caribbean Travel Marketplace in Atlantis Paradise Island. The event offers an invaluable opportunity for the company to reconnect with valued hotel partners as well as establish new relationships with potential partners who want to take advantage of the company's data insights and innovative tools. Hotel partners will benefit from the Expedia group's first e-commerce seminar at the event, which serves as a good opportunity to showcase the company's unique offerings and ongoing efforts for partners. 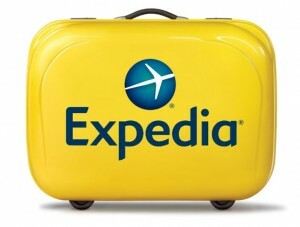 During the seminar, the Expedia group will be sharing relevant market data, company announcements, and product updates. "We are thrilled to have a strong presence at the Caribbean's most influential industry event organized by the Caribbean Hotel and Tourism Association and host our first e-commerce seminar. During the seminar, our team will discuss trends, new tools, and marketing capabilities to provide increased visibility and incremental demand for hotel partners," said Demetrius Canton, Director of Market Management for the Caribbean, the Expedia group. "This event illustrates the company's commitment to the Bahamas and the Caribbean region and will give our team an excellent opportunity to meet with partners face to face." The Expedia group will also host an appreciation event to further cultivate the company's close ties with the region's hotelier community during Caribbean Travel Marketplace. The appreciation event offers an opportunity for the company to recognize top performing Caribbean hotel partners. "Expedia is a very important partner for us and having their entire Caribbean and marketing team at Caribbean Travel Marketplace gives us a great perspective on what we can expect of the upcoming season," said Delia Osegueda, Contracting Director, USA & OTAs, Blue Diamond Resorts. The Caribbean has been a consistently growing region for the Expedia group, while the United States continues to be a top feeder market, the region has also seen significant increases in travel demand from the United Kingdom, France, and Brazil during the third quarter of 2016 compared to the same time in 2015. The Expedia group has Caribbean offices in the Dominican Republic and Puerto Rico to offer hotel partners the local presence necessary to better serve their market needs. Local Expedia market managers serve as expert counsel on marketing, marketplace, and creative initiatives utilizing the Expedia platform and its tools to increase travel demand and seamlessly connect hotels with travelers. "In a world where technology is the key to success, Expedia is at the top of the game, but most importantly with a human touch! The Expedia Dominican Republic team is second to none, a key factor in putting our destination at another level on the map of success. Easy to work with, quick to respond, great knowledge of the destination, and a clear understanding of our needs. A true partner at all times, even when faced with challenges," stated Ricardo Espinosa, VP of Sales & Marketing, Majestic Resorts.